It’s not an unusual sight to see boats in people’s front gardens, especially on the South Coast. However, when the boat is a 37ft fin keel yacht it becomes quite an imposing landmark. 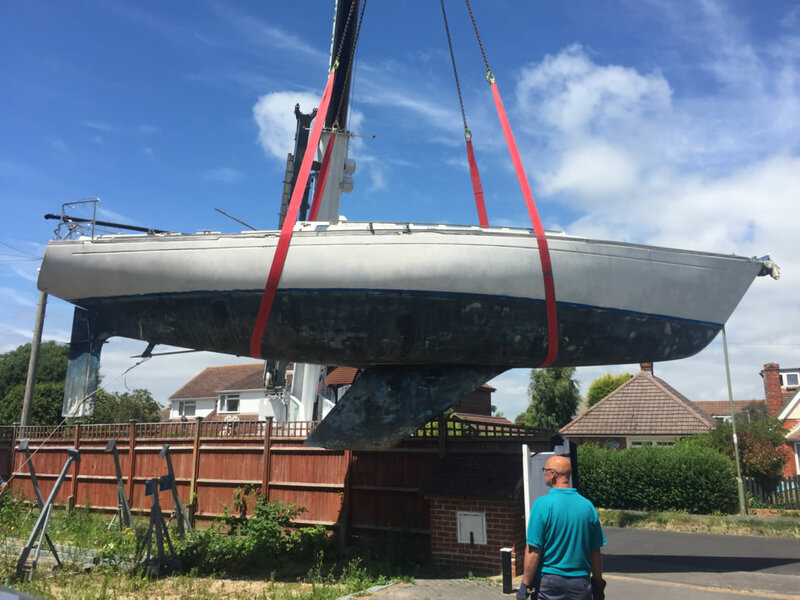 The boat had been in her current position since 2006 when she was taken out of the water and onto the stand so her owner could carry out repair works to her. 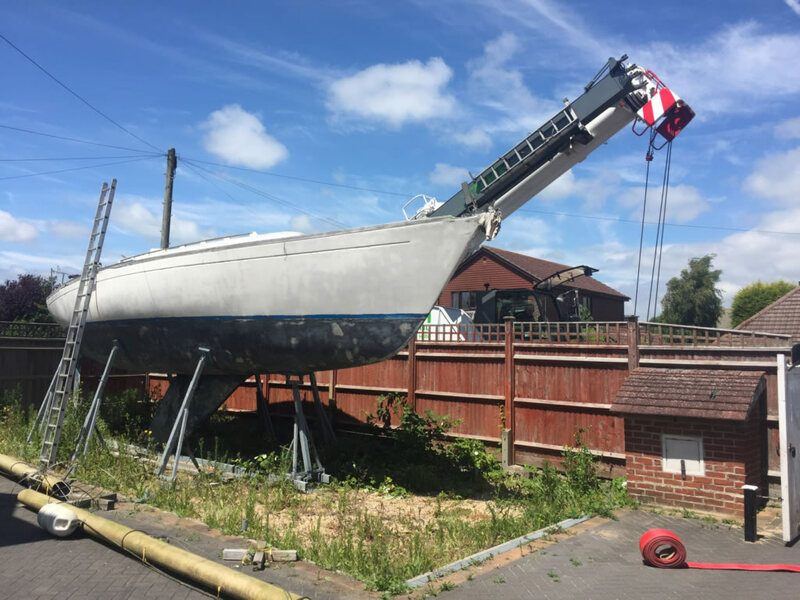 When the council decided that the framework he had erected around the boat to carry out the work “wasn’t in keeping with the local area” the work stalled and sadly the boat fell into disrepair ad became a scrap yacht. 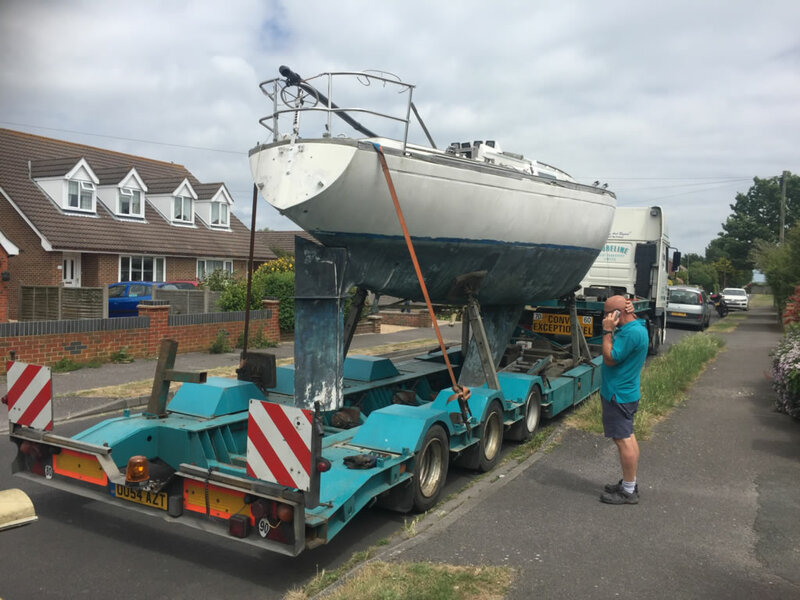 Our team were originally asked to come and look at the boat on Hayling Island to consider taking it on to sell as a Project Boat. 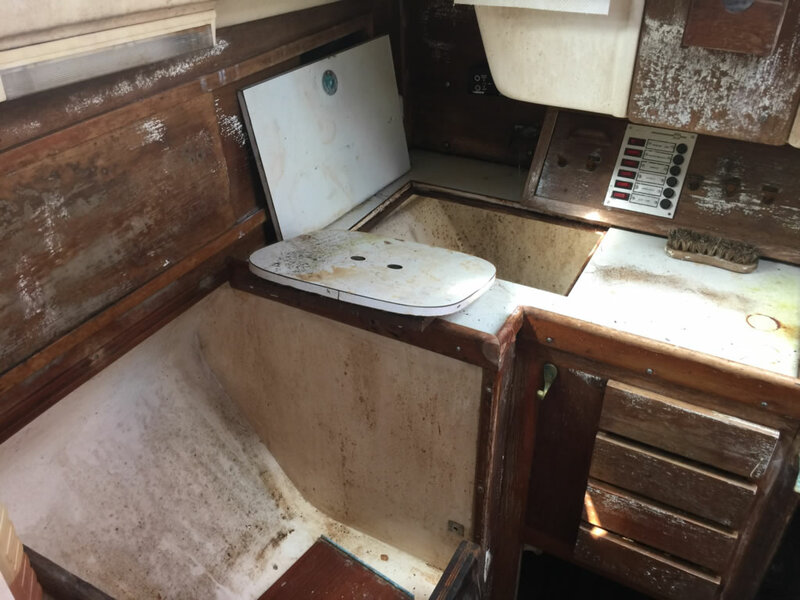 We quickly decided due to the condition of the boat that we felt the boat was too far gone and it would be best to dispose of the boat using our yacht scrapping service. 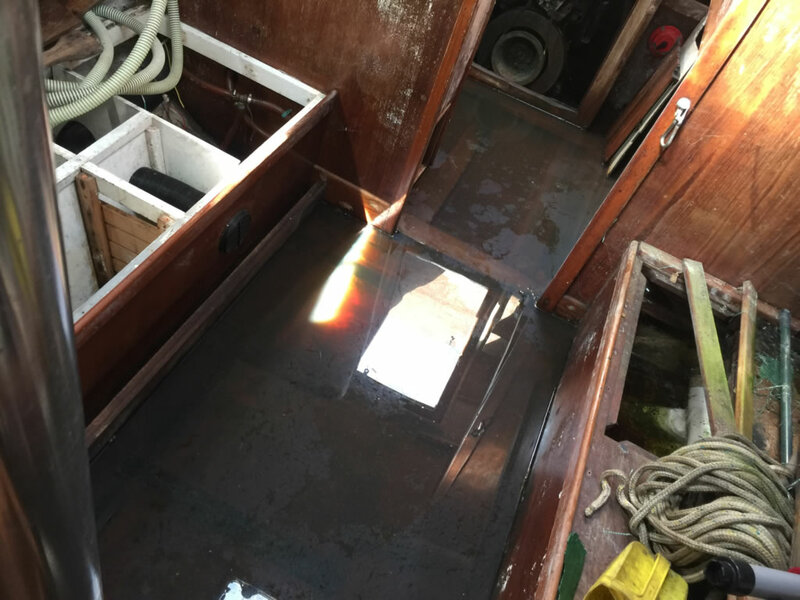 We also advised the current tenants of the house to drill a number of holes into the bottom of the boat as she was half full with rain water. 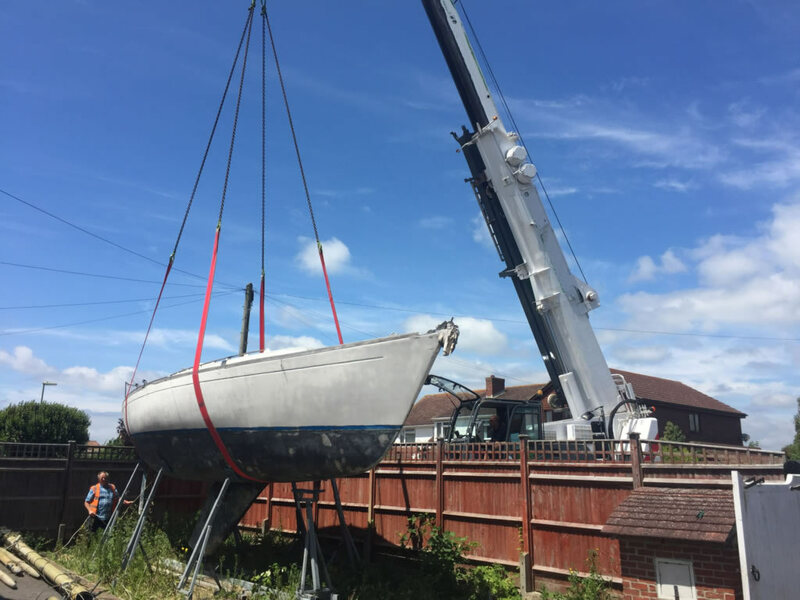 The first challenge was to arrange the lifting and transport for the boat as she weighed around nine tonnes and was a fin keel. 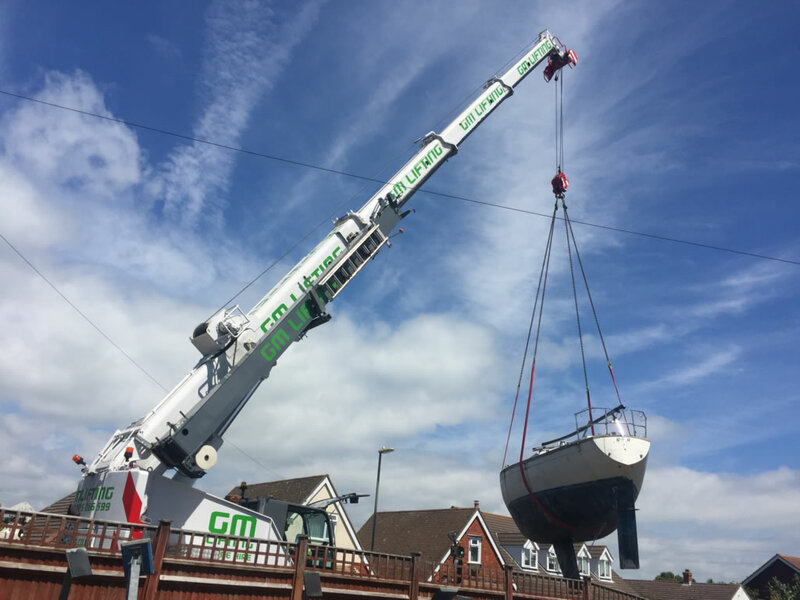 Despite there being some overhead cables to avoid, the crane driver was confident he could safely lift the boat without having to get the cable taken down. 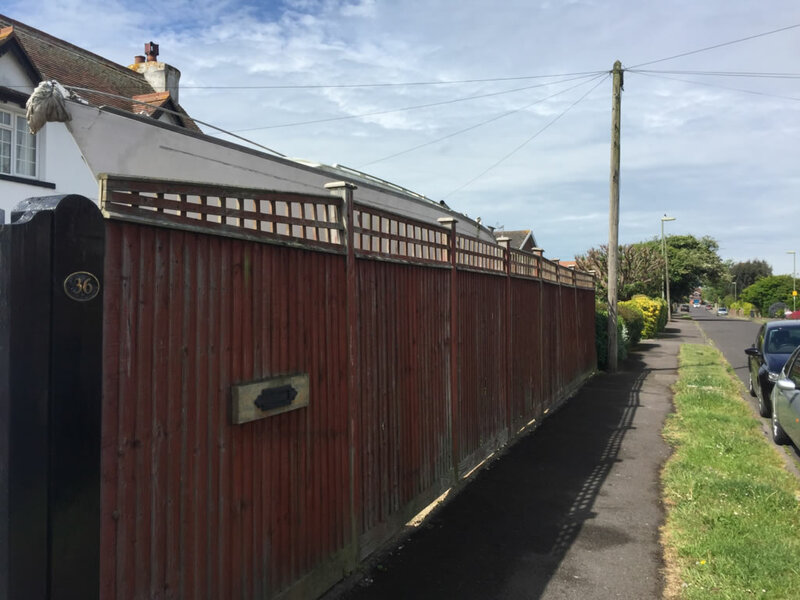 Our team visited the property to see what items if any, we could salvage and re-sell to recover our costs. 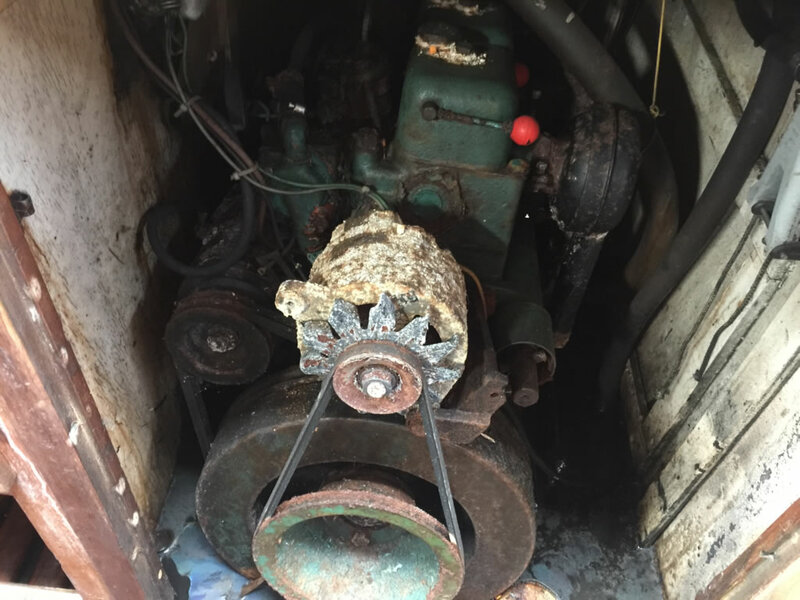 We found that it was only really the winches and boat cradle that were worth keeping. Once we had a date fixed for the scrap boat to be collected and disposed of it all ran remarkably smoothly. Apart from some suspect time keeping by other contractors involved in the job that caused our hosts to provide us with more cups of tea than they bargained for. 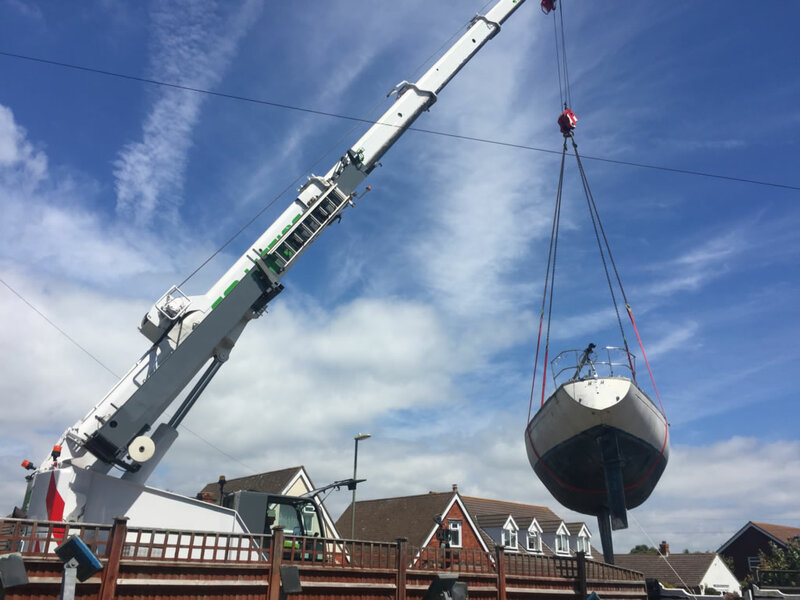 The boat was the first thing that was lifted up over the fence and onto the waiting transport. When that was safe and secure the boat cradle was lifted onto our flatbed trailer that we used to transport all the other boat items that were also coming with us. We decided that the mast wasn’t in good enough condition to be resold so to make things easier we cut it into two sections and loaded them onto the trailer with the folded up boat cradle. From start to finish the job only took about two hours. It was just a case of prepping the boat and getting everything in place for the lift. 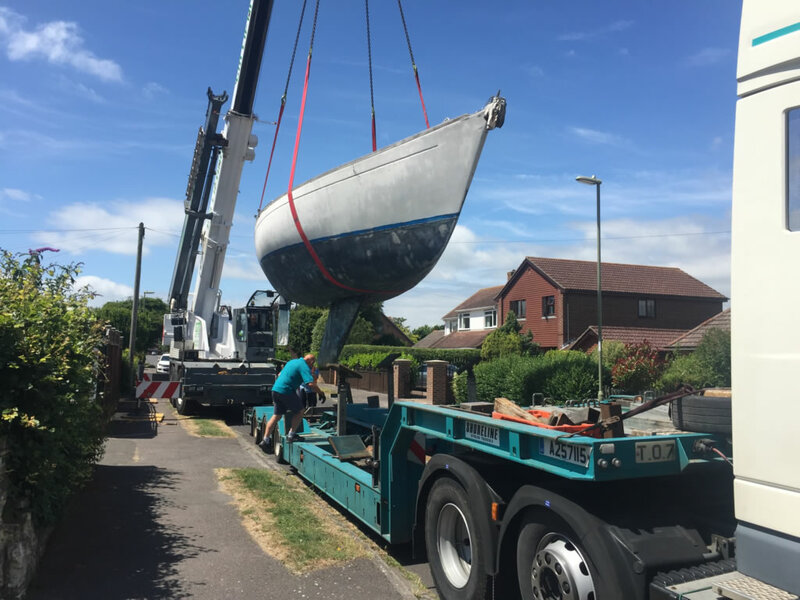 The boat was then returned to our yard in Portsmouth where it has been crushed down and any recyclable material has been removed. If you have a boat in your garden that was a project but has been there for a number of years collecting rain water then give us a call.